Hassan: Come on! Come on, come on, boys. Hey, captain, why the haste? The city will not vanish. Aboo-Seer: It's not the city of Charak he wishes to see, but someone who dwells within. Sinbad: After a long voyage, it is good to stretch one's legs. Hassan: The only good thing about this port is the inn of Abu Jamil the Squint, who, for six months, I have been dreaming of his roasted sheep's eyes. Aboo-Seer: And I the eyes of his daughter. Sinbad: You were dreaming of more than her eyes. Okay, so the film isn't a masterpiece for anyone involved, but the DVD is worth the price for Harryhausen fans. I won't reiterate a fairly lame plot but to say that a prince is morphed into a baboon and Sinbad must find a way to correct this untimely development in order to repay a friend and win the hand of the lovely Jane Seymour. All in all, the film turns out to be rather entertaining once Patrick Troughton makes it on-screen to flesh-out the dialogue. Overshadowing the movie's multiple shortcomings, however, is the always inspiring stop-motion work of Ray Harryhausen. 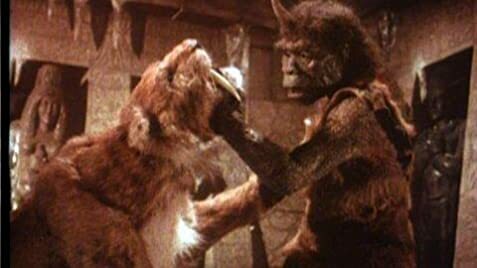 The Trog and sabre-tooth are two fine creations and while we don't see anything on par with the 7 skeletons in "Jason & the Argonauts" or Medusa from "Clash of the Titans" there are some great moments with other creatures. While to be treasured as one of Harryhausen's last films the DVD also includes the added bonus of "The Ray Harryhausen Chronicles", an in-depth documentary narrated by Leonard Nimoy featuring a bio and interviews with today's FX masters. 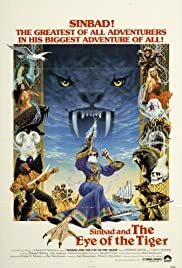 This and other features combine to make an otherwise average fantasy/adventure film worth a look--if you're a Harryhausen fan and you've got a DVD player. For all the extra features, I'll give the DVD a 6/10. 28 of 33 people found this review helpful. Was this review helpful to you?